Amid rising college costs and mounting student debt, parents are looking for more ways to lessen the financial burden of higher education. Luckily, 529 college savings plans can help. These unique savings vehicles offer several tax breaks for parents as they save for their children’s future education. Similar to 401(k) plans, 529 plans let you contribute toward investment portfolios with underlying mutual funds that leading investment firms manage. Tackling an expense as large and important as higher education is important. So read on to understand 529 college savings plans down pat. After all, it can get complicated among the different types of plans out there — whether direct-sold, advisor-sold or prepaid tuition options. And the tax consequences of your deposits and withdrawals aren’t so simple. Your earnings do grow tax-free. And your withdrawals are also tax-exempt as long as you use the funds on qualified higher education expenses like tuition. But some states even allow their residents to make tax-deductible contributions or receive tax credits. In addition, you can use your 529 plan in conjunction with scholarships and financial aid packages your child receives. It’s important to wrap your head around the basics and the nitty-gritty. Here’s everything you need to know. 529 college savings plans are tax-advantaged savings vehicles that help investors put money away for future education costs. The 529 college savings plan grew out of Section 529 of the Internal Revenue Code in 1996. Today, every state sponsors at least one 529 plan. State agencies and major investment management firms often run these programs. 529 college savings plans have three main types. The most common 529 college savings plans offer diverse investment menus, which typically feature mutual fund portfolios and FDIC-insured savings accounts. Several programs either require no minimum opening contribution or allow you to open a 529 account with as little as a $25 deposit. You can then invest at your own pace up to the contribution limits the state sponsoring your plan sets. These limits usually range from around $200,000 to $500,000. So the more you invest and the sooner you begin saving, the stronger your earnings potential. Furthermore, these plans typically charge low fees factored out of your account balance rather charging management fees to you directly. Advisor-sold 529 college savings plans function similarly. However, they offer the guidance of a professional financial advisor who can help you choose a suitable investment option based on your individual savings goals and financial situation. A third option is called a 529 prepaid tuition college savings plans. These programs basically let you pay for tuition ahead of time at current prices. This way your your children can use prepaid college credits in the future even if tuition skyrockets by the time they enroll. In most cases, the state legislature guarantees your benefits in these types of plans. However, prepaid tuition plans usually limit what you can cover with your savings to tuition and mandatory fees required by the college your beneficiary ends up attending. What Are the Tax Benefits of 529 College Savings Plans? When you invest in a 529 college savings plan, the money you contribute grows tax-free while invested in the plan. This means Uncle Sam won’t take a cut from your investment earnings and you can take advantage of compound interest. In addition, the money you take out the plan won’t be taxed either as long as you use the funds to pay for qualified higher education expenses like tuition, mandatory fees and books required for enrollment. However, taking money out of the plan to cover basically anything else triggers a nonqualified withdrawal. The earnings portion of this withdrawal would be subject to federal income tax and a 10% penalty. In addition, you may need to pay back any previously-claimed state tax deductions. Consult a financial advisor or a qualified tax professional to discuss how a nonqualified withdrawal may affect you based on your particular circumstances. Your advisor should also recommend alternatives to making a nonqualified withdrawal. You should also speak to a financial advisor if you’re planning on using 529 plan funds on K-12 schools. The Tax Cuts and Jobs Act signed by President Donald Trump allows you to use up to $10,000 worth of tuition at these institutions per beneficiary per year without federal tax penalty. However, lawmakers are still debating how to treat such withdrawals for state tax purposes. Be sure to consult your advisor and keep an eye out on how these laws are developing in your area. What Can I Use my 529 Plan Money On? The federal government places a broad umbrella under qualified higher education expenses. Below are some examples of what you can cover with your 529 plan penalty free. The amount of your savings that you can use to cover qualified expenses without penalty can’t exceed the estimated costs of attending college determined by individual institutions. You can find this information published on schools’ websites or through their financial aid offices. So if off-campus rent costs more than the estimated cost of room and board published by the school, the excess amount would be treated as a nonqualified expense. Below are some examples of nonqualified withdrawals. What Colleges Can I Use My 529 Plan Money At? You can use your 529 plan savings to cover qualified expenses at virtually any institution that accepts financial aid from the U.S. Department of Education. That includes several community colleges, universities, vocational schools, and other institutions throughout the country. You can even use your savings to fund some foreign institutions. So you can open a 529 plan account in New Jersey for someone living in Vermont, who eventually enrolls at a school in Los Angeles or France. You can search eligible schools through the website of the Free Application for Federal Student Aid (FAFSA). 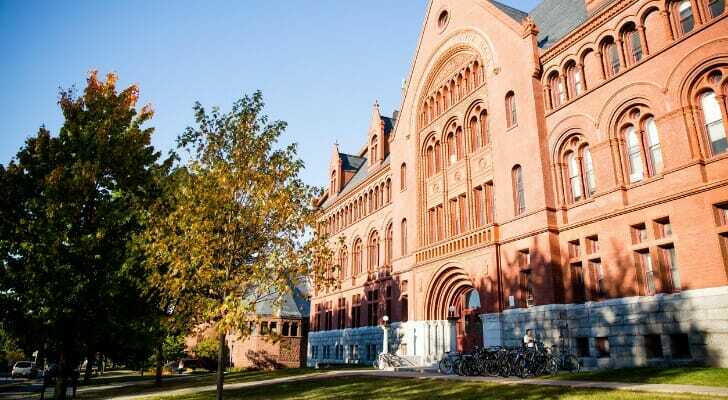 Who Should Get a 529 Plan? Parents saving for their children’s future college education definitely should consider opening one. You can combine your 529 plan savings with financial aid packages and scholarships your children earn. But anyone 18 or older who has a Social Security or tax identification number can open one for anyone else. You can even open a 529 plan for yourself. An independent student saving for college can open one for himself or herself. You can also open one if you plan to go back to school or attend grad school. In addition, you can start saving for the college education of a child you’re expecting by naming yourself as the beneficiary. You can then change the plan to list your child as the beneficiary. If your kid doesn’t end up going to college, you can designate any immediate family member as the beneficiary without penalty. Most plans also allow a considerable amount of time to elapse before a student has to use the 529 funds. Your child will not need to enroll in college immediately after high school, so check with your plan manager about particular time limits. Also, you’re not limited to investing in just one type of plan. Nor are you required to open an account with one sponsored by your state of residence. You can shop around online for the plan that meets your needs and savings goals. How Do You Get a 529 Plan? The easiest way to open a 529 plan account is by doing so online. The process should generally take a few minutes. Just make sure you’ve collected the following details about yourself and your beneficiary. You should also have your bank or savings account and routing number if making your initial contribution electronically. You can also download enrollment kits and mail applications to your plan manager. If you are using an advisor-sold plan, you will typically need to enroll for that plan through a financial advisor. If you need help finding one, use the SmartAdvisor matching tool to find an expert who can guide you through the college savings process. How Do I Withdraw Money From My 529 Plan? You can easily withdraw money from 529 college savings plans online. Just log into your account and decide how much you want to withdraw. Most plans allow funds to be sent electronically directly to you, your beneficiary or to an eligible educational institution. Many also allow checks to be sent. However, you should avoid certain mistakes when making a 529 plan withdrawal. Nonqualified withdrawals can hit you with massive tax penalties that can erode the savings you’ve invested in your child’s future. But as long as you use 529 plan funds on qualified expenses, you can make the most out the tax benefits unique to 529 plans. 529 college savings plans offer several benefits including tax breaks and versatile ways to invest in your child’s educational future. Your options include several types of plans offering diverse investment portfolios managed by professionals. However, these plans pack the most potential when you use your savings for qualified educational expenses—and nothing else. On the plus side, you can use these savings to cover expenses at more institutions than you may think. You can also combine your savings with financial aid packages and scholarships your child gets. Your money boosts more potential for growth the longer you invest, so you should open a 529 plan account as early as possible—you can even start when you’re expecting a child. Use our investment calculator to find estimates of what your savings could look like in the future. You’re not limited to investing in one type of plan or the one sponsored by your state, so shop around to find the 529 plan that meets your needs. We’ve reviewed 529 plans across the country to rate their features and benefits. 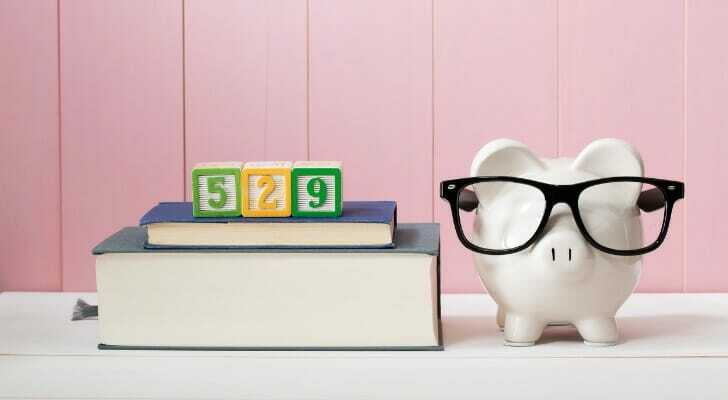 If you’re not sure about managing a 529 plan on your own, you can always seek a financial advisor to help you through the entire college savings process. Our SmartAdvisor tool links you to advisors in your area based on your financial goals and preferences.